Smokers on campus may want to inhale more deeply the next few months because USF is planning to put out its last cigarette in 2016. In last week’s fall address, USF President Judy Genshaft announced the campus will become tobacco-free beginning early next year. This would bring the Tampa campus into step with the USF Health side of campus as well as the St. Petersburg and Sarasota-Manatee campuses. 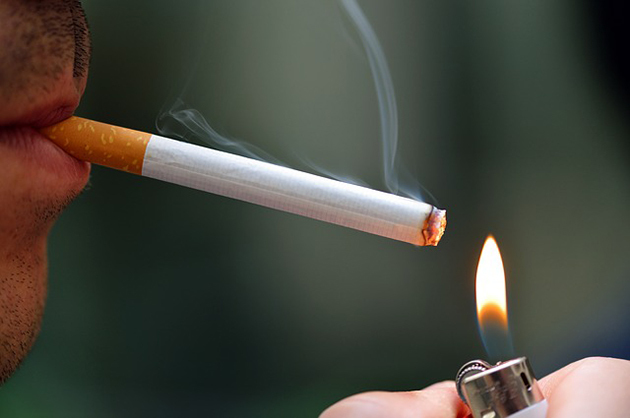 Though smoking has rightfully fallen out of popular favor in the 50 years since the Surgeon General first warned Americans about the hazards of cigarettes, with rates of smokers declining from 42.4 percent in 1965 to 18 percent in 2012, according to tobaccofreecampus.org, it is still a personal liberty. Everyone can appreciate that smoking has changed since the “Mad Men” era of the ’60s. Now smokers are at an all-time low in the U.S. and the smoking community that exists is more cognizant of both environment and health. Instead of pumping out the carcinogen-heavy smoke of traditional cigarettes, many smokers have turned to e-cigarettes, which produce a vapor whose most harmful effect is probably the commonly used artificial flavoring, rather than its nicotine content. According to the Washington Post, the e-cigarette industry rakes in $3.5 billion in annual U.S. sales from about 10 percent of adults and 13 percent of high school students. There should undoubtedly be some limitation on smoking usage, but mainly for common decency, rather than an outright blanket policy to be tobacco-free. No one likes the jerk in the classroom who puffs so much vapor that you can’t see the board up front, but no one should deny a smoke break from the grad student outside the Library as he writes his thesis, or the professor who just finished a day of lecturing. For decades now, everyone has been warned at least once about the dangers of cancer and smoking. However, plenty of people have smoked and happily lived to tell the tale in old age, if in a disturbingly raspy voice. If a minority of the population chooses to take the risk of smoking, no different from those that risk the dangers of drinking or going out in the university area late at night, that is their right. Those pushing for tobacco-free campuses should realize smoking doesn’t instantly cause cancer, and second hand smoke is only harmful with prolonged or frequent exposure. Smoking has dwindled in popularity, e-cigarette users are becoming increasingly more mindful of those around them and their health, and chewing tobacco — well, chewing tobacco’s biggest harm to the environment is grossing out anyone who witnesses the user spitting it out. The university should focus its efforts elsewhere instead of planning a most likely impossible enforcement policy to keep smokers from lighting up on campus. More concerning to wellness are issues of off-campus safety and providing more mental health services. Smoking is a gross habit — many smokers will admit that. But that shouldn’t deny them the freedom to smoke. After all, Florida just implemented a law allowing students on college campuses to have a firearm stowed in their car, but somehow puffing an e-cigarette that smells more like a vanilla scented Yankee Candle than tobacco won’t be allowed before class and could soon be a violation of the Student Code of Conduct. Alex Rosenthal is a senior majoring in mass communications.